A sketch challenge this week at JAI. Continuing with my promise to myself to only make Christmas cards from challenges, I have used some new products from the Summer Mini which starts on Wednesday. THe lacy ribbon is called Chantilly and is just gorgeous. I also wanted a bit of bling and this card has 4 different types, but all gold - gold embossing powder for the star, gold shimmer paint in the tree and gold smooch spritz (also in Summer Mini) on the background and a layer of gold metallic cardstock. That's the challenge this week at Just Add Ink, make anything for Christmas! This really is my favourite time of year. I love decorating the tree, the food, being with the family and even the shopping for presents! I saw the kit for the Advent Calendar in my local craft store, but thought it was a bit expensive. But then it was on sale at a more reasonable price and I just had to have it. It comes as just a bare frame and plain chipboard boxes and you have to provide all the embellishments. So Sunday afternoon was spent painting the frame, Monday after TAFE I made and covered all the boxes. And for 5 hours today I have been painting and embossing numbers and creating the 8"x8" scrapbook page. THe tutorial for the double ball ornament is on Splitcoast and is by Carol Dunstan, it's a bit fiddly but not difficult to make. 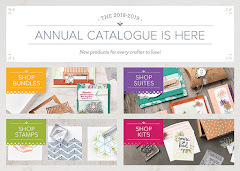 Accessories: Silve, gold, white and clear embossing powder, Jolly Holiday dsp, sleigh bells ribbon, dazzling diamonds, crystal effects, clear rhinestones, scallop trim border and corner punches. How cool is this? Thank You Sonia for this lovely surprise. 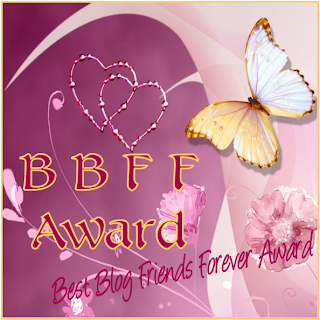 The BBFF Award is to be passed on to those people who take the time to visit our blogs, leave comments and to those whose blogs inspire us to do the same. So I am passing this Award to a few talented stampers whose blogs I visit regularly. Some may not post alot, but what they do is certainly worth a look. All are found in my blog roll, so I always know when something new is posted. 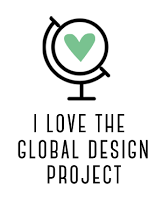 Thank you ladies for inspiring and encouraging me with your blogs! This week's challenge at JAI is a sketch. I have been a bit busy this week so I am running a bit late getting this one in on time! It isn't often I do baby cards, but my secret sister is having a baby just after the round finishes at the end of this month so this more to wish her good luck for when the baby arrives. Accessories: Elegan eggplant ribbon, embossing folder, glitter glue, large oval and scallop oval punch, Lap of Luxury dsp. Of all the new stamp sets in the new IB&C, this would have to be in my top three of favourites. There are 9 stamps in the set including silhouettes, words and tag shapes. The idea of this card was originally to keep it monochrome, but it looked a little dull so a strip of colour was added to give definition between the layers.